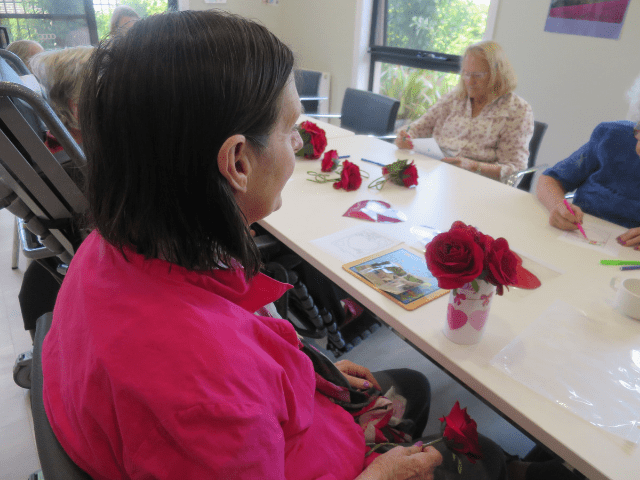 With Valentine’s Day coming up in a week, the team at Arcare Keysborough had prepared some love centered activities for clients to participate in. 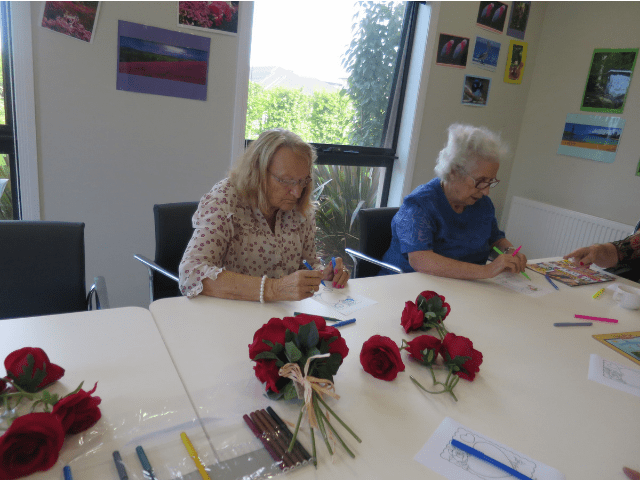 Some clients were cutting and colouring in Valentine’s Day cards to give to their valentines. 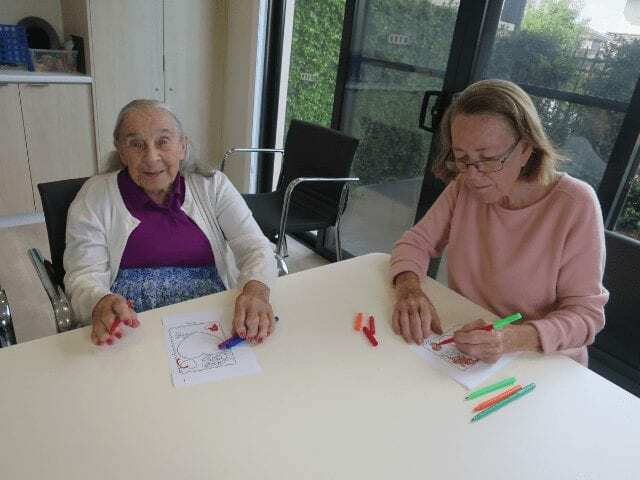 “We decided to cut a heart on the front page of the card, so that the message written inside would appear in the shape of love”, said Alison, Lifestyle Coordinator at Arcare Keysborough. When the clients were asked about their thoughts on Valentine’s Day, most responded that they really enjoyed celebrating the occasion. “My husband loves to take me out every Wednesday evening but seeing Valentine’s Day falls on a Thursday this year, I’m hoping we will be able to celebrate with a lovely dinner then”, said Laura excitedly. 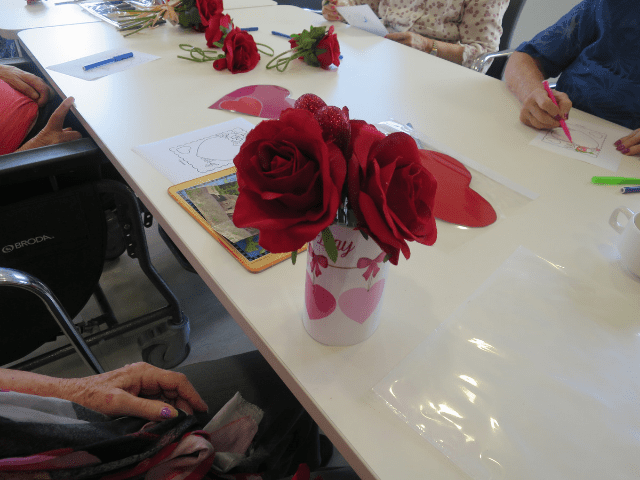 The clients at Arcare Keysborough were also busy creating Valentine’s Day themed vases, with red roses inside for Arcare’s cafe. 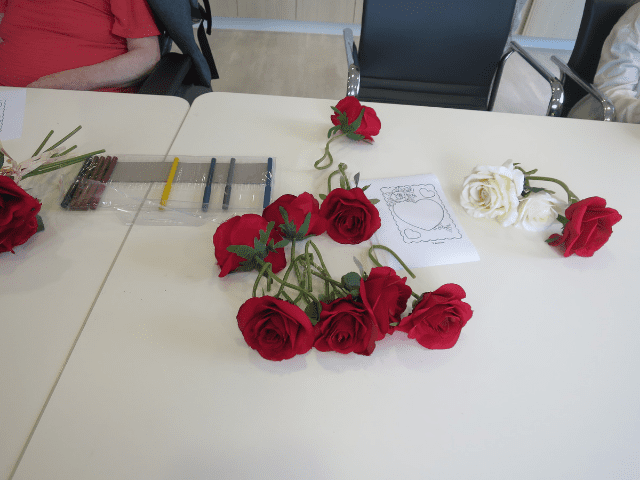 “We love to change the flowers in the café according to the time of the year and knew that red roses would be perfect for Valentine’s Day”, Alison told us. Next week clients at Arcare Keysborough will be celebrating Valentine’s Day with a special high tea.